The trends at IFA 2017 suggest robotic helpers and appliances are the future. Technology conventions such as IFA often serve as a window into the near future, with the concepts on the show floor offering a glimpse of what gadgets are in the pipeline. The ubiquity of virtual assistants, drones and virtual reality were all first flagged at shows like IFA, so it’s far from a guessing game. And a striking trend has been appearing in every corner of the convention centre this year – robots. Robotics have been becoming increasingly prevalent in the tech world for some time now, partly driven by the rise of artificial intelligence and machine learning. Once inanimate devices have been coming to life and learning as they do. Nowhere is this more obvious than IFA, where smart speakers housing Google Assistant and Amazon’s Alexa dot most of the major booths. But another side of robotics is also big here – the more traditional idea of humanoid helper bots. LG has its Airport Guide Robot on display, which can scan boarding passes and give passengers gate information as needed. It’ll even walk you to your gate if you’re unsure of where to go. 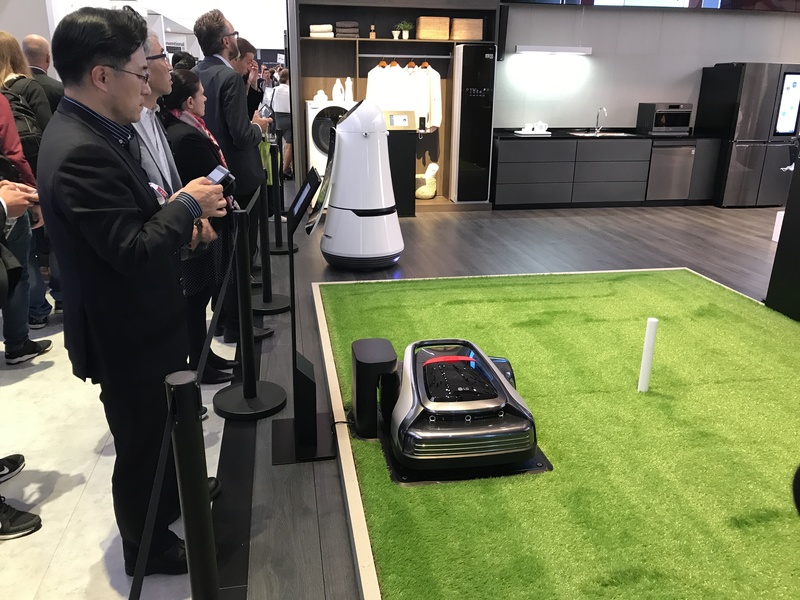 The Korean firm also had its robotic lawn mower, which can be controlled via Google Assistant or Alexa, on display. 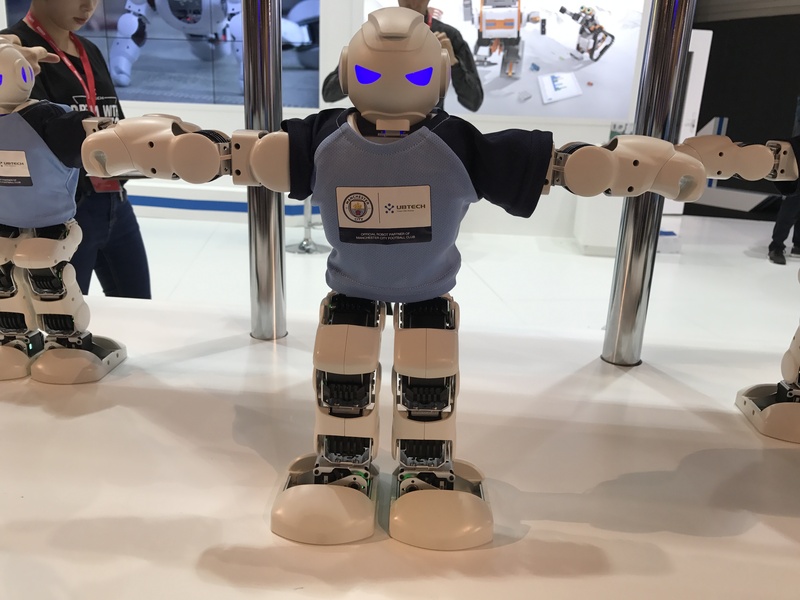 Smaller firms including Ubtech and Qihan also had helper bots on show – Ubtech’s Alpha1 Pro is designed for entertainment as well as education and quite enjoys dancing to Gangnam Style. But perhaps the most striking use of robotics came from Panasonic, who had a concept autonomous fridge among the devices on display at its IFA booth. The fridge, which can move independently, has voice and touch controls which enable it to move to a specific location when called or summoned. In short, it’s a smart fridge that can come to you if you call it. The concept is an interesting step for robotics – another level up in proactivity from the smart fridges that have been launching in recent years in that now appliances are coming to you, and that changes the dynamic of the home considerably. If Panasonic and co are spending time and money on developing this type of robot, expect to see them eventually reach the market in some form, and the house of someone near you sooner rather than later. Five years ago the concept that became the Amazon Echo or Google Home seemed outlandish and far-future, yet look where we are. Robotics are likely to go the same way if this year’s IFA is anything to go by.